Paidhal itself includes a variety of leaps and may also be coupled with spins (Bramhari). It also includes the famous Kartari(Scissors) Adavu where the movement of the hand and feet trace criss-cross patterns in space. 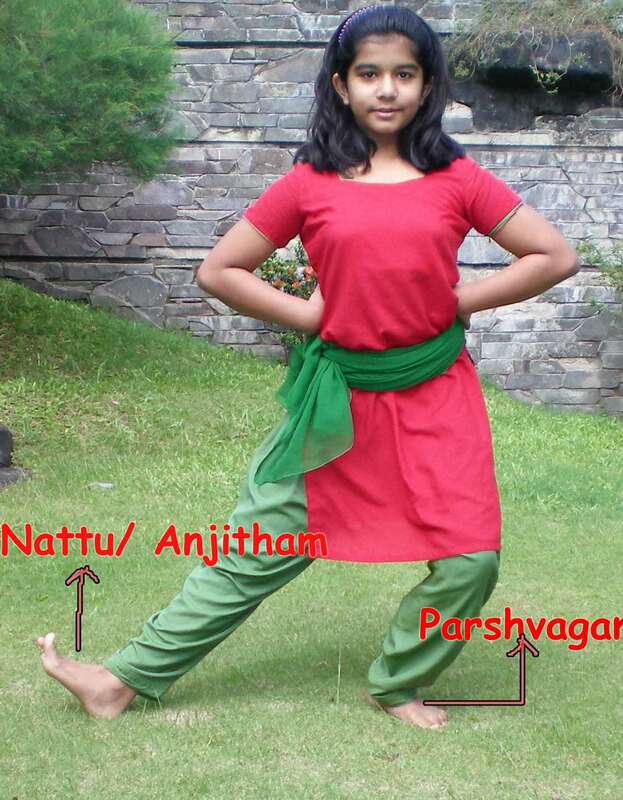 Leg Movements/feet positions: Utplavana(Jumps/leaps) bhedas akin to Motitam , Kartari and kartari. Eka paada Bramhari(turn) is also used. These new terms will be explained in detail at a later stage. Right now it would suffice if you understood paidhal uses various leaps and turns. This set of davus is set to a 3 beat cycle, though it need not be limited to it. Let’s look at the sorkattu distribution in 3 speeds.